You know I love me some bats, so it is no surprise I have a little crush on this fun swarm of bats pumpkin that Amanda created. 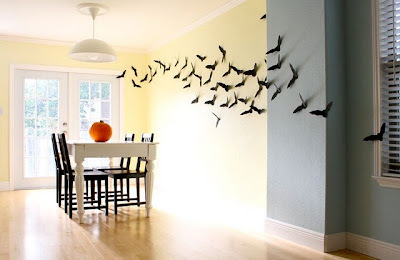 It reminds me of Dana's Halloween wall of bats that I love! And the best part is that being a no carve pumpkin it is super kid friendly! 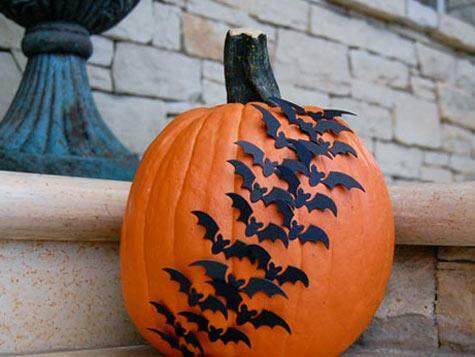 You can check out how to make your own bat pumpkin over at Spoonful.